Nominees must be residents of Hermosa Beach. Nominees may not have received the Hermosa Beach Man or Woman of the Year. Those who have been elected to Hermosa beach City Council or higher office are ineligible. Nominees may not be members of the current Emerging Leader Selection Committee. Nominees do NOT have to be alumni of Leadership Hermosa Beach. All nominees will be considered by the Selection Committee. The winners will receive a certificate, award, and recognition. 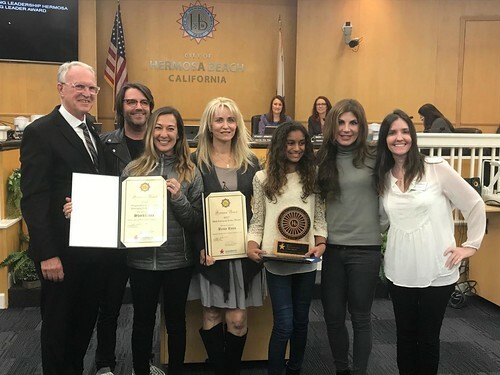 Both nominees and winners will be recognized at the Leadership Hermosa Beach B.A.L.L and a City Council meeting in April 2019. Describe the contributions of your nominee to the local community and why you believe the nominee should be selected for the Hermosa Beach Emerging Leader Award. **Max total file size: 16MB, If you have multiple documents, please combine them into a single file for upload. Allowable file types include pdf, doc/docx, png, jpeg, gif. Please review your form. Verify that you have finished your responses and uploaded any documentation for consideration. Then click "Submit" to complete your nomination. Thank you for nominating a fantastic member of the Hermosa Beach community for the 2019 Emerging Leader Awards.